Event Summary Forty-five states and the District of Columbia have adopted the Common Core State Standards and are in the early stages of implementing them. But as panelists concluded at an AEI research conference on Monday, the state-led initiative will face an uncertain future as it intersects with additional efforts to improve schooling, such as teacher accountability policies and charter schooling. AEI’s Mike McShane began by explaining the numerous complications associated with implementing national initiatives such as the Common Core that require diverse actors to work together. Many educators on the panels offered ways to reduce such complications. Specifically, Lily Eskelsen of the National Education Association tied the Common Core’s future success with professional development for educators that is built around collaboration. Patrick McGuinn of Drew University emphasized how questions of governance factor into the initiative’s uncertain fate. Chester Finn of the Thomas B. Fordham Institute, however, highlighted the initiative’s flexibility as a positive change from the No Child Left Behind Act’s prescriptive nature. Panelists agreed that ultimately, the success or failure of the Common Core will hinge on these implementation challenges and whether the initiative will complement current reform efforts throughout the implementation process. –Chelsea Straus Event Description While most of the discussion about the Common Core State Standards Initiative has focused on its technical merits, its ability to facilitate innovation, or the challenges of practical implementation, there has been little talk of how the standards fit in the larger reform ecosystem. Going forward, will the Common Core initiative complement or conflict with the school reform agendas that states are currently pursuing? Ultimately, the Common Core initiative’s success will be determined by the degree to which leaders support the effort and insulate it from political dynamics and competing pieces of the reform agenda. At this AEI conference, panelists will present the results of their research and thoughts on these topics, and provide actionable responses to the questions that will mark the next phase of Common Core implementation efforts. If you are unable to attend, we welcome you to watch the event live on this page. Full video will be posted within 24 hours. Lake and Maas: Common Core: Will charter schools lead or lag? For media inquiries, please contact [email protected], 202.862.5829. Jeanne Allen is founder and president of the Center for Education Reform. Allen has earned credibility among policymakers, business leaders, and the press for effective advocacy, grassroots organizing and coalition building, and compelling writing and public speaking. She is a frequent commentator in the media, appearing on broadcast and cable television networks, as well as national and local radio. She has published hundreds of articles and commentaries in such outlets as USA Today, The Wall Street Journal, and The Washington Post, and is a regular contributor to Huffington Post and National Journal. Her book, “The School Reform Handbook: How to Improve Your Schools” (Center for Education Reform, 1995), ignited parent-led efforts for education reform. Allen advised four presidential administrations and gubernatorial transition committees, and served on numerous state panels and boards. She has been a leader in promoting innovative technologies to close learning gaps. Russell Armstrong is a policy adviser for Gov. Bobby Jindal (R-LA), specializing on issues relating to education and the workforce. His previous experiences include working as a classroom teacher, school operations manager, and district support staffer for the Louisiana Department of Education. Mark Bauerlein is a professor of English at Emory University. He assisted in the creation of the Common Core State Standards’ English Language Arts standards, and his writings and interviews about the Common Core have appeared in The Washington Post, Toronto Globe & Mail, NPR’s All Things Considered, the Chronicle of Higher Education, the Atlanta Journal-Constitution, and Education News. Ann Bonitatibus is chief operating officer of Frederick County Public Schools in Maryland. She began her career as a high-school English teacher and subsequently middle- and high-school principal. Two decades later, as an associate superintendent from 2007–12, she worked in unison with system administrators who led schools with the highest graduation and lowest dropout rates in the state. All nine high schools in the district were also nationally ranked for achievement on SAT and Advanced Placement exams, in addition to meeting and exceeding college readiness standards. In recent years, Bonitatibus and the local Frederick County Teachers Association president co-chaired a teacher evaluation workgroup. This highly collaborative and groundbreaking committee successfully revamped a two-decade-old perfunctory checklist into a meaningful and widely accepted professional development tool that evaluates teachers in contemporary domains reflective of the latest standards measuring teacher efficacy. Deven Carlson is assistant professor of political science at the University of Oklahoma. He joined the faculty of the political science department at the University of Oklahoma in fall 2012. 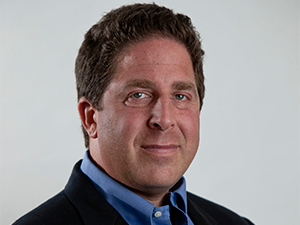 His research interests include the relationship between individuals’ educational experiences and their later-life participation in the political process, and the operations and effects of education policies — particularly school-choice policies, public policy, and research design and causal inference. His work has been published in journals such as Educational Evaluation and Policy Analysis, the Journal of Policy Analysis and Management, the Journal of Urban Economics, the Economics of Education Review, and Educational Policy. Mitchell Chester has served as Massachusetts commissioner of elementary and secondary education since May 2008. From 2001 through 2008, he worked for the Ohio Department of Education, where he was the second ranking educator. Chester served as the executive director for accountability and assessment for the School District of Philadelphia from 1997 to 2001. Before working in Philadelphia, he was chief of the bureau of curriculum and instructional programs of the Connecticut State Department of Education. Chester has been a teacher, assistant principal, and curriculum coordinator in three school districts. Michael Cohen is president of Achieve. A nationally recognized leader in education policy and standards-based reform, Cohen became president of Achieve in 2003. Created in 1996 by the nation’s governors and corporate leaders, Achieve is an independent, bipartisan, nonprofit education reform organization based in Washington, DC, that helps states raise academic standards and graduation requirements, improve assessments, and strengthen accountability so all students graduate ready for college, work, and citizenship. He has held several key roles in education over the past 20 plus years, including director of education policy at the National Governors Association (1985–90) and director of planning and policy development at the National Association of State Boards of Education (1983–85). During the Clinton administration, he served as assistant secretary for elementary and secondary education, special assistant to former president Clinton for education policy, and senior adviser to former US secretary of education Richard Riley. Under Cohen’s leadership, Achieve launched the American Diploma Project Network, formed the Partnership for the Assessment of College and Career Readiness — one of two multi-state consortia developing common assessments — and helped develop the Common Core State Standards. Linda Darling-Hammond is the Charles E. Ducommun Professor of Education at Stanford University, where she has launched the Stanford Center for Opportunity Policy in Education and the School Redesign Network and served as faculty sponsor for the Stanford Teacher Education Program. She is former president of the American Educational Research Association and member of the National Academy of Education. Among Darling-Hammond’s more than 300 publications are “The Flat World and Education: How America’s Commitment to Equity Will Determine Our Future” (Teachers College Press, 2010); “Powerful Teacher Education: Lessons from Exemplary Programs” (Jossey-Bass, 2006); “Preparing Teachers for a Changing World: What Teachers Should Learn and Be Able to Do” (Jossey-Bass, 2005, with John Bransford); “Teaching as the Learning Profession” (Jossey-Bass, 1999, co-edited with Gary Sykes), which received the National Staff Development Council’s Outstanding Book Award for 2000; and “The Right to Learn” (Jossey-Bass, 1st Edition, 1997), recipient of the American Educational Research Association’s Outstanding Book Award for 1998. From 1994–2001, she served as executive director of the National Commission on Teaching and America’s Future. In 2006, Darling-Hammond was named one of the nation’s 10 most influential people affecting educational policy over the last decade. She recently served as the leader of President Barack Obama’s education policy transition team. Lily Eskelsen is a sixth-grade teacher from Utah and vice president of the over-3-million-member National Education Association. After teaching for only nine years, Eskelsen was named Utah Teacher of the Year for her work as an elementary-school teacher. She worked with homeless and gifted children, as a mentor for student teachers, and as a peer-assistance team leader in the suburbs of Salt Lake City, where she taught at Orchard Elementary School. She has served as president of the Utah Education Association, Utah State Retirement System, and Children at Risk Foundation, and was named by President Obama to serve as a commissioner on the White House Commission on Education Excellence for Hispanics. In 1998, she was the first Hispanic to run for the US Congress in her state and though unsuccessful, she earned 45 percent of the vote against the incumbent. Chester E. Finn is a scholar, educator, and public servant who has been at the forefront of the national education debate for 35 years. President of the Thomas B. Fordham Institute, he is also a senior fellow at Stanford University’s Hoover Institution and chairman of Hoover’s Koret Task Force on K–12 Education. He is the author of 20 books and more than 400 articles; his work has appeared in publications such as The Christian Science Monitor, Education Week, Harvard Business Review, The New York Times, The Wall Street Journal, The Washington Post, and The Weekly Standard. Finn is the recipient of many awards and holds an honorary doctorate from Colgate University. Frederick M. Hess is resident scholar and director of education policy studies at AEI. An educator, political scientist, and author, Hess studies a range of K–12 and higher education issues. He pens the Education Week blog Rick Hess Straight Up and has authored influential books on education including “The Same Thing Over and Over” (Harvard University Press, 2010), “Education Unbound” (ASCD, 2010), “Common Sense School Reform” (Palgrave Macmillan, 2006), “Revolution at the Margins” (Brookings Institution Press, 2002), and “Spinning Wheels” (Brookings Institution Press, 1998). He has edited widely cited volumes on education philanthropy, urban school reform, how to stretch the school dollar, education entrepreneurship, what we have learned about the federal role in education reform, and No Child Left Behind. He also serves as executive editor of Education Next; as lead faculty member for the Rice Education Entrepreneurship Program; on the Review Board for the Broad Prize in Urban Education; and on the boards of directors of the National Association of Charter School Authorizers, 4.0 Schools, and the American Board for the Certification of Teaching Excellence. A former high-school social studies teacher, Hess has taught at the University of Virginia, the University of Pennsylvania, Georgetown University, Rice University, and Harvard University. Ashley Jochim is a research analyst at the Center on Reinventing Public Education (CRPE) at the University of Washington. Her research expertise includes performance management, state education policy, district governance, and the politics of education. Her work can be found in the Policy Studies Journal and Political Research Quarterly, as well as numerous edited volumes including the Handbook of School Choice and the Oxford Handbook of American Bureaucracy. In 2012, she was selected as one of a dozen emerging education policy scholars interested in narrowing the gap between research and policy. She is a regular contributor at national political science and public policy conferences. Before working at CRPE, she was a graduate fellow at the Center for American Politics and Public Policy as well as a research analyst at the Department of Health and Human Services, Office for Civil Rights. Richard Laine is director of education at the National Governors Association Center for Best Practices, where he leads a team that provides support for the nation’s governors on education issues ranging from early education to K–12 to postsecondary. Previously, he led the Wallace Foundation’s $300 million national education leadership initiative; managed the Illinois Business Roundtable’s education efforts; and served as the associate superintendent for policy, planning, and resource management at the Illinois State Board of Education. Before moving to Washington, DC, Laine completed five years of service on his school district’s board of education, where he successfully led the negotiation of a new teacher contract and helped lead the team that negotiated a new performance-pay system for the district’s administrators. Robin Lake is director of the Center on Reinventing Public Education (CRPE) at the University of Washington, and is nationally recognized for her research and analysis of US public-school system reforms, including charter schools and charter management organizations, innovation and scale, portfolio school districts, school turnaround efforts, and performance-based accountability systems. Lake has authored numerous studies and provided expert technical assistance reports on charter schools. She is the editor of “Unique Schools Serving Unique Students: Charter Schools and Children with Special Needs” (CRPE, 2010) and editor of CRPE’s annual report “Hopes, Fears, and Reality: A Balanced Look at American Charter Schools.” She co-authored, with Paul Hill, “Charter Schools and Accountability in Public Education” (Brookings Institution Press, 2002). She has provided invited testimonies to the US House of Representatives Education and Labor Committee and various state legislatures, presents regularly at conferences and summits around the United States, and serves as an adviser to various organizations, including the Journal of School Choice, the National Association of Charter School Authorizers, and the National Charter School Resource Center. Dane Linn is a vice president for the Business Roundtable (BRT). In this role, he oversees the education and workforce committee, advancing the BRT’s positions on education reform, US innovation capacity, and workforce preparedness. Linn joins the BRT most recently from the College Board, where he served as executive director of state policy. Before working at the College Board, Linn served as director of the educational policy division of the National Governors Association (NGA) Center for Best Practices. During his 16 years in this role, Linn represented governors’ education policy issues at the federal level and to state and local associations. He also co-led the development of the Common Core State Standards, which have been adopted by 46 states. Before joining the NGA, Linn worked for 14 years in the education system as coordinator of the office of special education programs for the West Virginia Department of Education, as principal of Guyan Valley Elementary School in West Virginia, and as teacher and later assistant principal at Matheny Grade School in West Virginia. Tricia Maas is a research assistant at the Center on Reinventing Public Education (CRPE). Her primary research interests relate to charter school policy and outcomes, blended learning systems, and human capital pipelines in education. Before coming to CRPE, Maas taught high-school math at a KIPP school in California and at a traditional public school in North Carolina. Neal McCluskey is associate director of the Cato Institute’s Center for Educational Freedom. Before arriving at Cato, McCluskey served in the US Army, taught high-school English, and was a freelance reporter covering municipal government and education in suburban New Jersey. More recently, he was a policy analyst at the Center for Education Reform. McCluskey is the author of the book “Feds in the Classroom: How Big Government Corrupts, Cripples, and Compromises American Education” (Rowman & Littlefield, 2007), and his writings have appeared in such publications as The Wall Street Journal, The Baltimore Sun, and Forbes. In addition to his written work, McCluskey has appeared on C-SPAN, CNN, the Fox News Channel, and numerous radio programs. Patrick McGuinn is associate professor of political science and education and chair of the political science department at Drew University. McGuinn’s first book, “No Child Left Behind and the Transformation of Federal Education Policy, 1965-2005” (Kansas, 2006), was honored as a Choice outstanding academic title. He is the editor (with Paul Manna) of “Education Governance for the 21st Century: Overcoming the Structural Barriers to School Reform” (Brookings Institution Press, 2013). McGuinn has produced a number of policy reports for AEI, the Center for American Progress, and the Thomas B. Fordham Institute, and is a regular commentator on education in media outlets such as Education Week, The New York Times, The Wall Street Journal, and New Jersey’s Star Ledger. He is a former high-school social studies teacher. 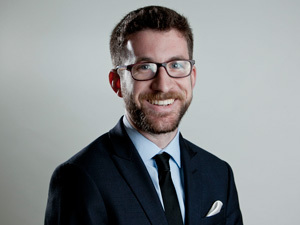 Michael Q. McShane is a research fellow in education policy studies at AEI. He taught ninth- and tenth-grade English and religion studies at St. Jude Educational Institute in Montgomery, Alabama, where he was also the assistant baseball coach. His first book, “President Obama and Education Reform: The Personal and the Political” (co-authored with Robert Maranto), was published by Palgrave Macmillan in September 2012. Peter Meyer is a former news editor for Life magazine, author of numerous nonfiction books, and contributor to such national magazines as Harper’s, Time, Life, National Geographic, Vanity Fair, and New York. Since 2004, Meyer has been an editor at Education Next; since 2010, a senior fellow at the Thomas B. Fordham Institute; and since 2012, the program manager at the City University of New York Institute for Education Policy. Mark Murphy is Delaware’s secretary of education. Nominated by Gov. Jack Markell (D-DE) in April 2012, his focus is on ensuring that children and educators are positively impacted through the development of policy and implementation of state and federal initiatives. Before his appointment, Murphy served as executive director of the nonprofit Vision Network in Delaware, leading school improvement efforts with staff, consultants, and educators at more than two dozen schools across the state. Before joining Vision Network, Murphy was executive director of leadership development at New Leaders for New Schools. Before his nonprofit education leadership work, he was a physical-education teacher, elementary-school teacher, assistant principal, and principal. His work as a principal was targeted at driving high-achievement gains for every student and eliminating the achievement gap in his school. Joshua Parker is an Elementary and Secondary Education Act Title I gap-reduction specialist within Baltimore County, and is the 2012 Maryland Teacher of the Year. Parker is the first Baltimore County teacher to win the Maryland Teacher of the Year award in over 60 years, is a 2013 Pearson Global Fellow, and is the winner of the 2013 California Causality Award for Teaching Excellence. Morgan Polikoff is assistant professor of education at the University of Southern California’s Rossier School of Education. His primarily line of work is on the design, implementation, and effects of standards, assessment, and accountability policy. He has written extensively about teachers’ implementation of state standards under the No Child Left Behind Act (NCLB). His current work includes the evaluation of states’ NCLB waiver policies, the alignment of textbooks with the Common Core State Standards, and the design and effects of hybrid learning at the University of Southern California’s Hybrid High School. Kimberly Worthy is an educator, author, lecturer, and workshop facilitator, and currently serves as a member of the board of directors of Howard University Middle School of Mathematics & Science in Washington, DC, where she has taught social studies and English language arts. A tireless advocate for educational excellence in urban schools, Worthy was honored in 2009 with the coveted District of Columbia State Teacher of the Year award, one of a dozen awards she has received since 2001 that recognize her dedication and commitment to educational excellence. Kimberly has developed numerous curricula and courses, has taught in five urban settings across the United States, and has taught in both Johannesburg and Cape Town, South Africa.